BRIEF ON BEHALF OF APPELLANT. Solicitors for Complainant and Appellant. 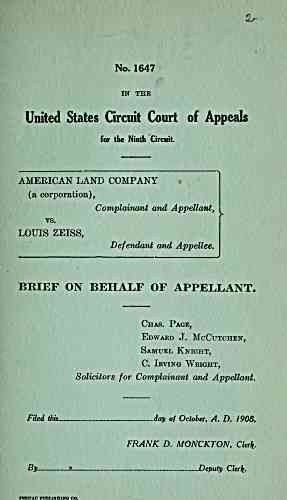 Filed this da) of October, A. D. 1908.